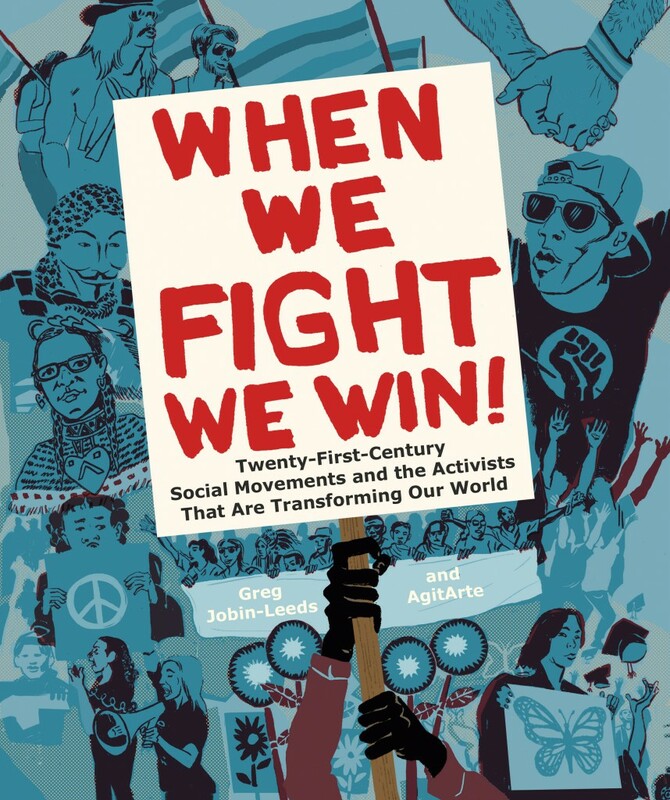 Similar to the book, the When We Fight, We Win! / ¡Cuando Luchamos, Ganamos! 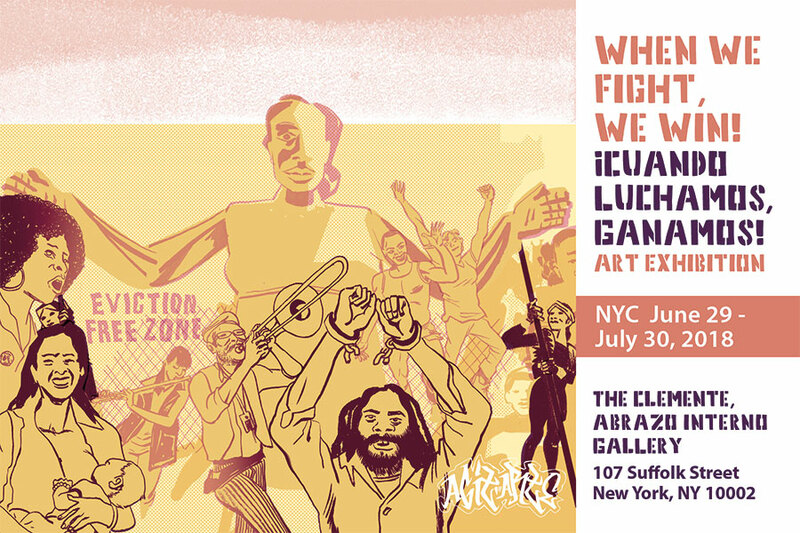 exhibition features artists, cultural organizers and collectives whose work bolsters people’s movements and builds solidarity across place, culture and struggle. Moving from the page to the gallery walls, the exhibition provides space to share and interact with movement art in tactile and visceral ways, breaking the barriers of two dimensional form, to invite performance, moving image, installation, artwork used in direct actions, and collective art making. 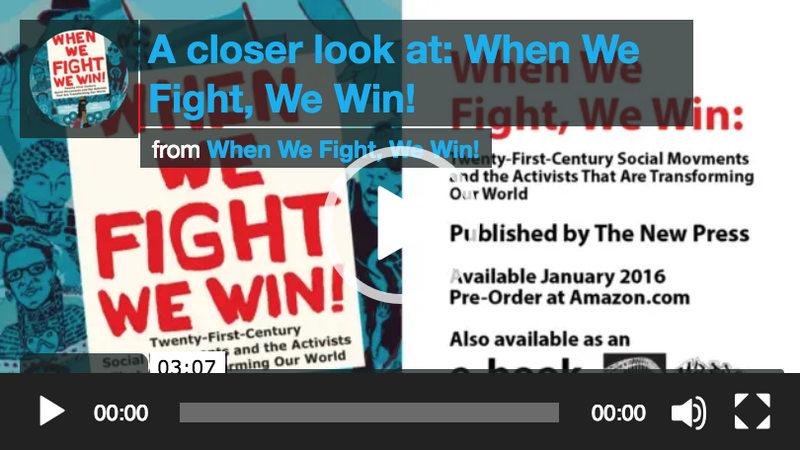 This exhibition is made possible with support from When We Fight, We Win! and The Clemente’s Open Call Program which is supported by the New York City Department of Cultural Affairs and the New York Council on the Arts. The exhibition will be open 3:30-7pm everyday through July 30, 2018. AgitArte, Agustín Muñoz Ríos, Another Gulf Is Possible Collaborative, Antonia Darder, Bread and Puppet, Bria M. Royal, City Life/Vida Urbana, Crystal Clarity, CultureStrike, Dey Hernández, Emily Simons, Erik R. McGregor, Estefanía Rivera Cortés, Fernando Lopez, For the People Artists Collective, Gabriela Álvarez, Jackie Fawn, Javier Maldonado O’Farill, Jayeesha Dutta, Jesús Iñiguez, Jornada: Se acabaron las Promesas, José Jorge Díaz, José ‘Primo’ Hernández, Julio Salgado, Kevin “Rashid” Johnson, Micah Bazant, Mónica Trinidad, Molly Crabapple, Mumia Abu Jamal, Osvaldo Budet Meléndez, Papel Machete, Rachel Schragis, Radical Arts & Healing Collective, Remy, Rude Mechanical Orchestra, Southerners On New Ground, Sugeily Rodriguez Lebron, Sylvia Hernandez, Tina Orlandini, The Indian Problem, and more! 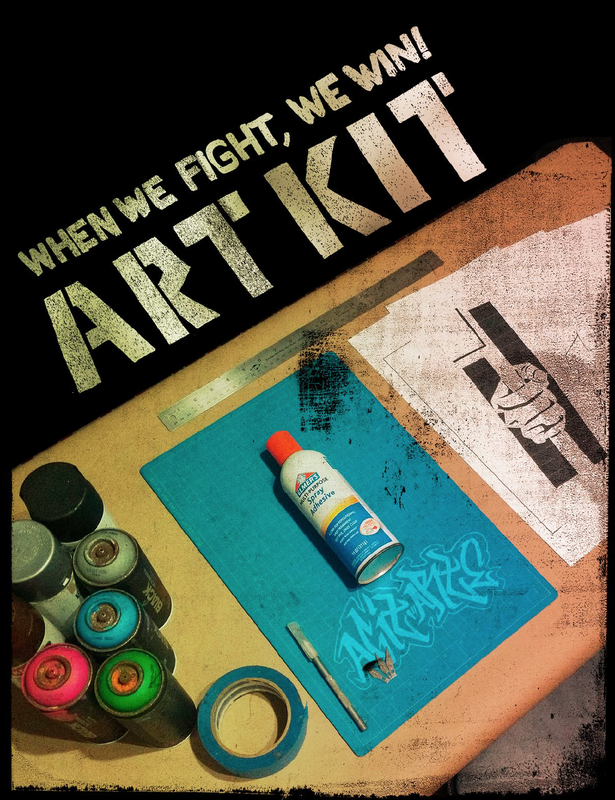 AgitArte / When We Fight, We Win!